Former Mama’s Boys and Celtus guitarist and violin virtuoso, Pat McManus, along with band members Paul Faloon and Marty McDermott will be visiting the Tivoli Venue in 2019 as part of their 12th European tour. The set will be as always packed full of their own special brand of blues rock infused with a touch of the celtic, with old favourites and new. 2018 saw the release of the bands 6th studio album ‘Tattooed in Blue’ and 2019 will bring another special release. 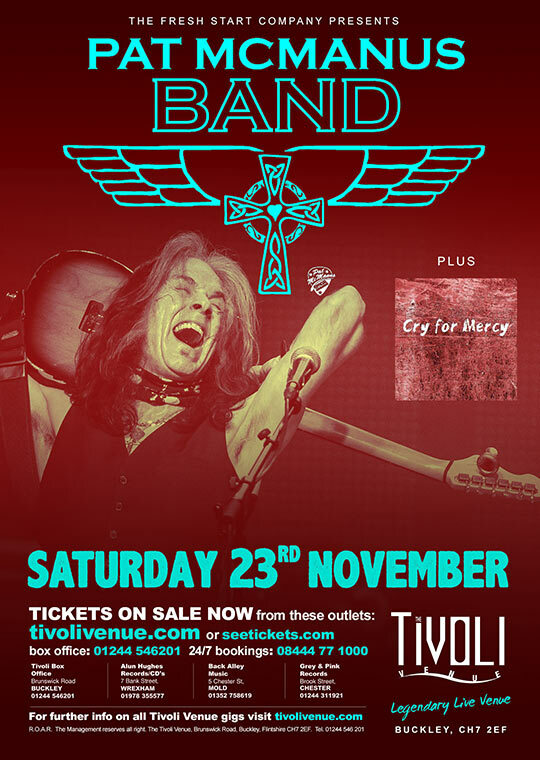 So with a touring schedule packed to the max, the band are always ready to rock – and rock the Tivoli they will!